We're looking for someone who is passionate about building high-quality software and driving the productivity of an entire organization. 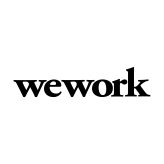 You will join a team dedicated to building out the tools, infrastructure, and training, that will sustain WeWork’s incredible growth as a technology company. Your efforts will enable engineers across the company to develop software faster and with higher confidence by making the right thing to do the easy thing to do, with awesome test tools and valuable insights into the code health. We value empathetic collaborators and are looking forward to welcoming your contribution to our team.